Re: Quick reply not working? Did you have the option in previous version? The Android version of your device? I just started using airdroid today and have only been able to use the quick reply feature a handful of times. The other times it will just show me the notification on my desktop and give me the options to dismiss or block. When clicking on the notification it does not open the desktop client and I have to go to my desktop to open it. When it has worked,it works fine but I would really enjoy if it always gave me the option. Maybe my settings are correct??.. You are trying to reply SMS? Or WhatsApp/FB Messenger/Line/Telegram messages? 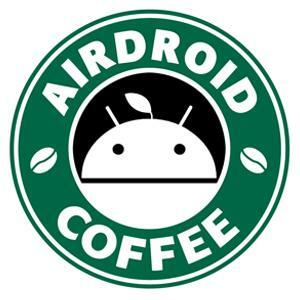 The Android version of your device? Any screenshots? Some notification pop-ups can be replied. My client always shows my device (nexus 7 2013) as not connected even though I'm getting notifications. 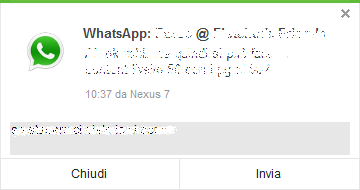 If I try to delete an email or reply a whatsapp message from the notification, it will say that it wasn't able to do it. Logs and exceptions folders don't have any file made today or yesterday. Does Web work? And can you send a screenshot of the error message? Thanks. The web says it cannot connect. I'm not on the same Wi-Fi network at the moment. i tried at home and in my LAN it connects without problems. It looks like it won't work with a remote connection using the web or desktop app. Do I've to check if a specific port is open even thought I'm getting notifications in the desktop app?